Monkeyland is situated about 150km from Mossel Bay and about 50km from Knysna. Our exact location is The Crags, which is 16km east from Plettenberg Bay. 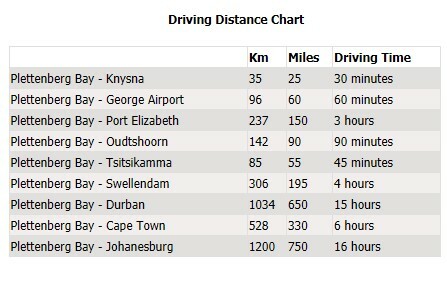 Simply take the N2, pass Knysna, pass Plettenberg Bay and continue past Keurboomstrand on to The Crags. You will notice a Monkeyland sign on the N2, near the BP Garage (the Garage is a lso known as the Garden Route Superrette). Take the turn-off (on the right) at this BP Garage and follow the Monkeyland signs for a further 2km. We are situated 2km off the N2, and our tarred road is well signed. 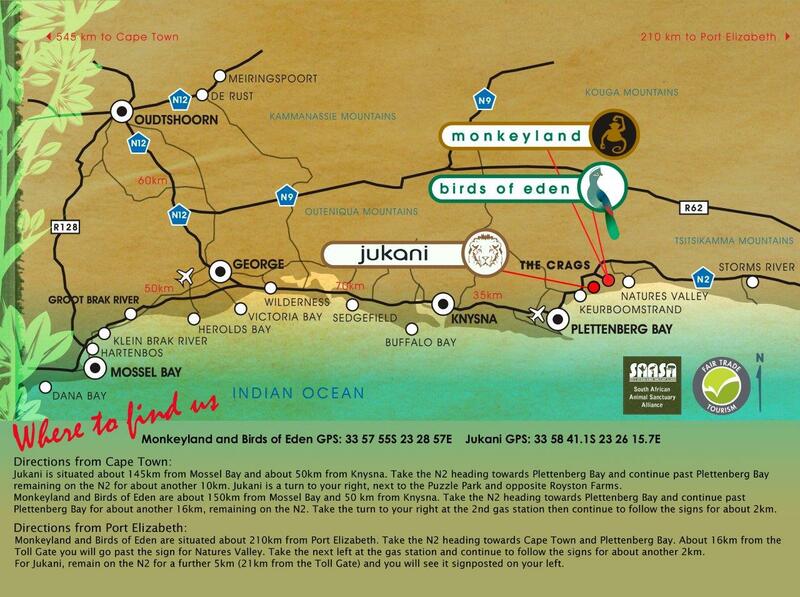 The Jukani Wildlife Sanctuary is located 7km before Monkeyland's turn-off when coming from Plettenberg Bay. It can be found on the right hand side of the N2 after the cell phone tower. 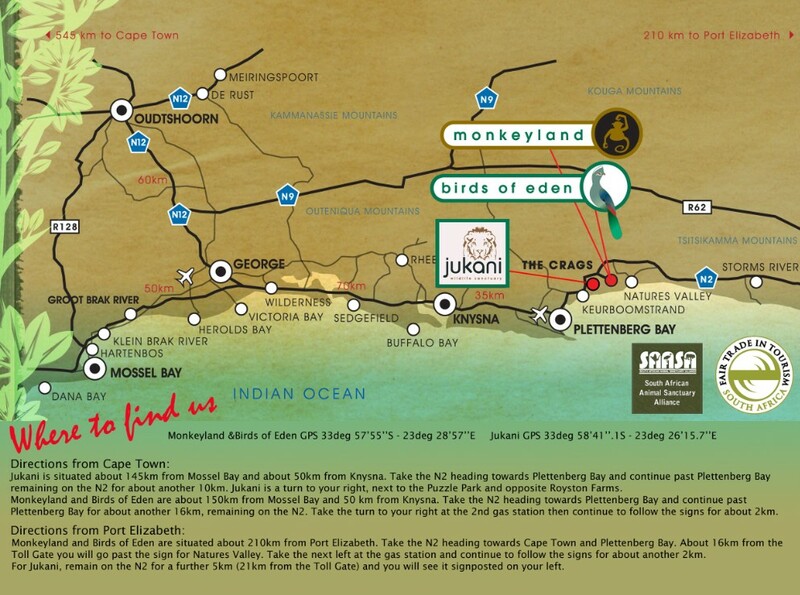 (Jukani is situated next to the Plettenberg Bay Puzzle Park - the attractions share the same parking lot).